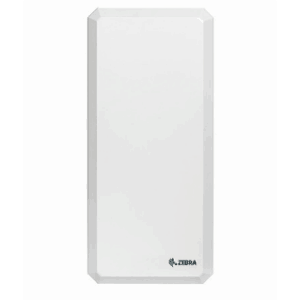 Get the capacity and range you demand for reliable RFID tag reading with the AN440 high-performance RFID area antenna. A good-looking, rugged general-purpose area antenna, the AN440 is designed to perform exceptionally in all environments, indoors and out. The AN440 RFID Antenna gives you a wide read field and high-speed RF signal conversion, so data capture is fast and accurate, even in expansive, high-demand environments. Easy to Mount: The AN440’s rugged white housing is at home in customer-facing and industrial settings. You can achieve superior read zones around stockroom shelves, warehouse doorways and dock platforms. Anywhere boxes and pallets are moving into and out of your facility. Longer Read Ranges: The rectangular AN440 antenna is designed to deliver faster, more accurate communication of EPC-compliant passive tag data to your RFID readers. Your workflow keeps flowing, your inventory count stays accurate and your productivity can reach new heights. Lifecycle Support: Our RFID Advanced Services provide the assistance you need to architect your solution for your business, processes and environment, ensuring that your pilot or full-scale rollout is designed to deliver peak performance.